I used to spend hours creating my holiday cards on an overpriced site. I never completed the cards in just one sitting, because the site provided way too many customizable options that actually made the process stressful for me! 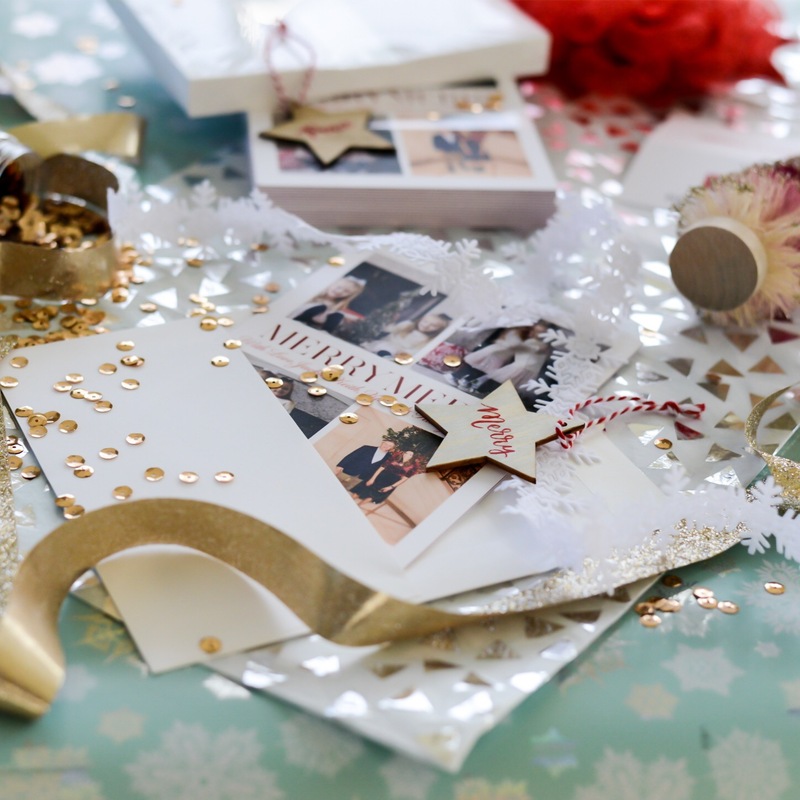 Creating holiday cards should be fun, not stressful! And forget about making other personal gifts, such as photo books and and calendars. I expended all of my creative juices on the holiday cards! 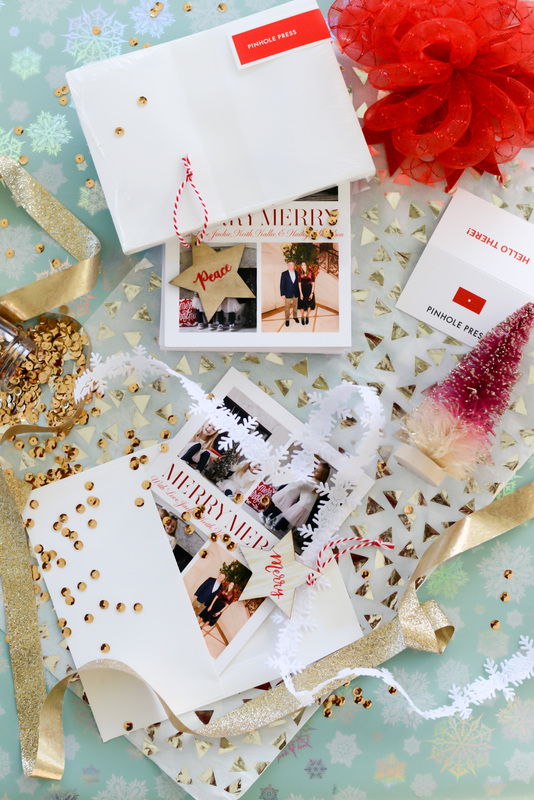 Luckily, this year, I found an awesome site for creating holiday cards and gifts! Use code VOGUE25 to save 25% on your holiday card order!! 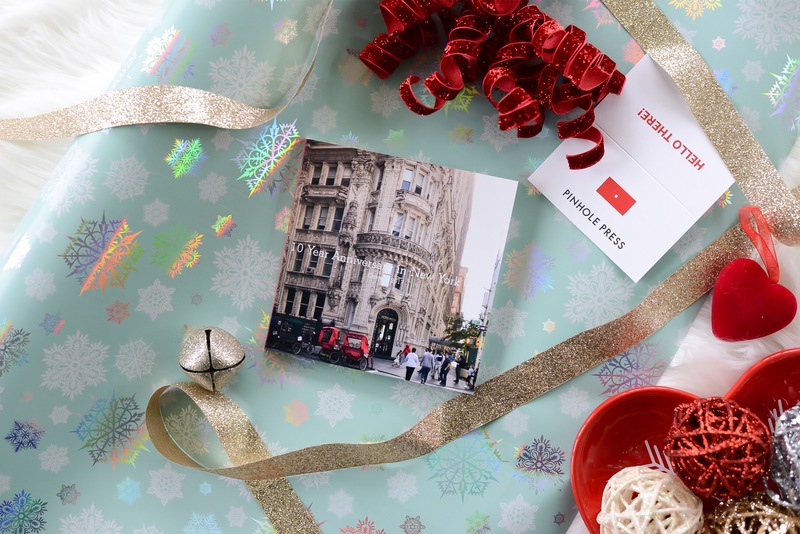 Pinhole Press is what’s up in terms of holiday cards and photo gifts, guys! I plan on using this company each and every time I need photo gifts. What Do I Like About Pinhole Press? 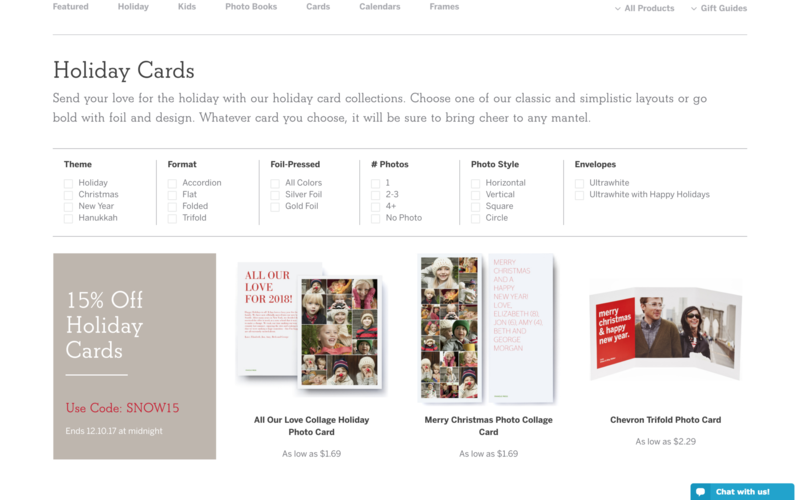 After you check off a box in all of the categories, Pinhole Press narrows down all of the card format choices for you. After you choose one, all you have to do is pop in your photos and type your desired text. And that’s it! 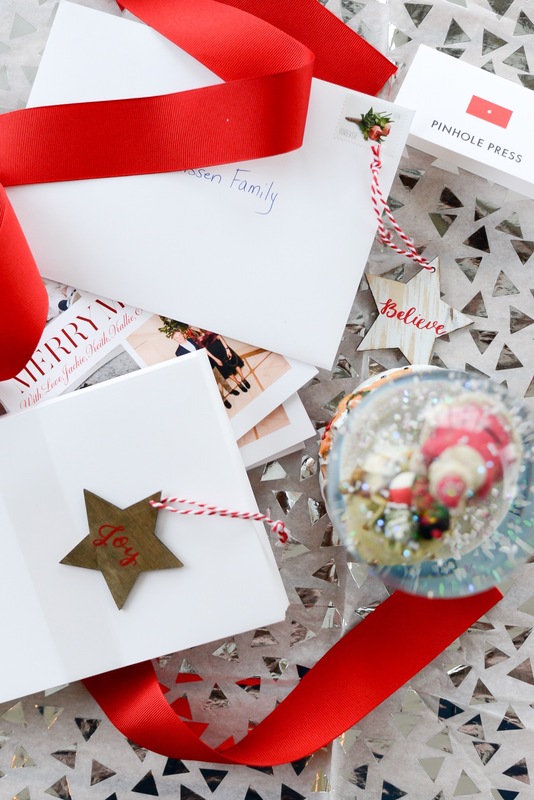 Your beautifully simple holiday cards are ready to order. There is no fooling around with colors and photo sizes because it is all done for you! I also love the prices of items on this site. They are super reasonable, and Pinhole Press usually has some sort of sale happening! So be sure to check for coupon codes on the site before you order your awesome photo gifts. I ordered a Petite Layflat Photo Book as a gift for my husband (I really hope he doesn’t read this!). We celebrated our 10 year wedding anniversary in NYC this year, and we had so much fun that I wanted us to remember every detail forever! So I documented the weekend in this adorable little photo book. Its 20 pages are really sturdy, and the photos look great. Plus, it is only $9.99!! Pinhole Press gives you the option of including text in the photo books, so I wrote about our trip on the last page. I can’t wait for my husband to see it! What Else Can Can You Create on Pinhole Press? I hope you love Pinhole Press as much as I do! 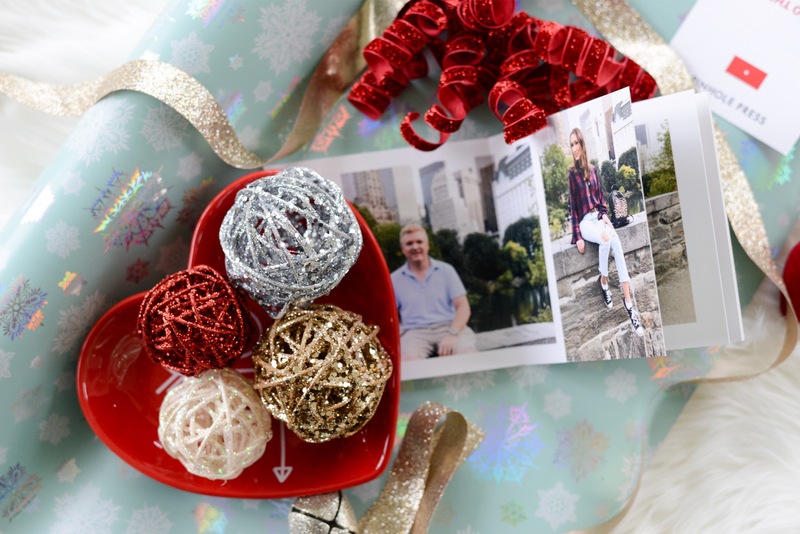 Don’t forget to check out my recent gift guides to help you with the holiday crunch! 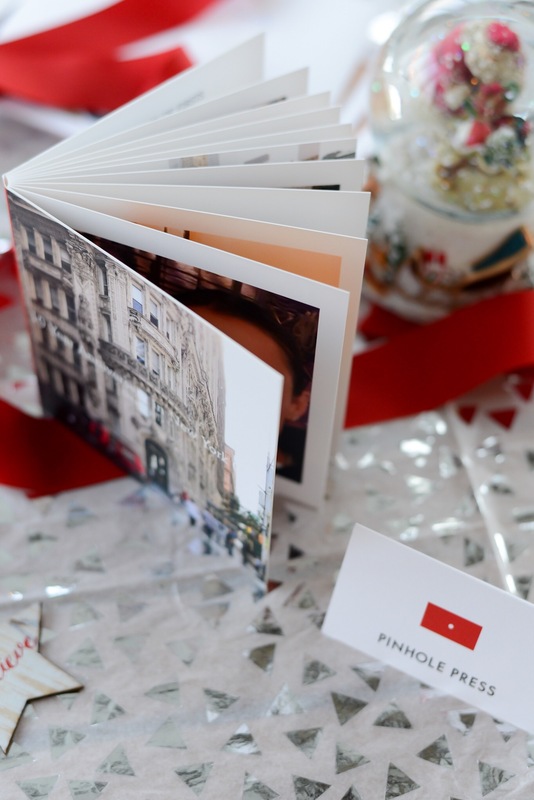 *Pinhole Press gave me the opportunity to create my holiday cards and a photo book in exchange for a review. The links in this post are affiliate. This seems really user friendly, and the finished results look so professional! I cannot say enough good about this site! Congratulations on 10 years!!! That is amazing, and i’m Sure he is gonna love the book! Really loved hearing about this new website.. been using Shutterfly for years. Thanks for walking us through the ordering and details and gorgeous pics! Thank you, Erin! I used Shutterfly as well. Well, I think it was Tiny Prints, which is now a part of Shutterfly I think. Anyway, I wont need it anymore, as I love using Pinhole Press! I hope you get to try it out! Oh that is such a great idea! I photo travel journal! These look like great personalized cards. I love the photobook concept. This seems like such a good idea!